Andover, Mass. –Royal Philips Electronics (AEX: PHI, NYSE: PHG) today announced that it is collaborating with Brainlab AG, a manufacturer of software-driven medical technology that supports targeted, less-invasive treatment, to create a comprehensive intra-operative solution with the goal of streamlining neurosurgery procedures. Ingenia MR-OR* is based on Philips digital broadband Ingenia magnetic resonance imaging (MRI)system, 1.5T and 3.0T, is designed to be combined with Brainlab’s integrated OR solutions. Magnetic resonance imaging (MRI) is used pre-operatively in neurosurgery planning for the removal of tumors in the brain. Traditionally during this surgery updated MR patient information is not available to surgeons, neither allowing them to see the immediate impact of the intervention nor offering guidance to adapt surgical navigation in real-time. The Philips&apos; MR-OR solution is designed to allow neurosurgeons to visualize the results of neurological procedures in real-time. This permits immediate access of patient information to facilitate surgical decision making. In addition, the solution allows for the removal of residual amount of a tumor before the surgical procedure is finished. "Our collaboration with Brainlab offers a strong intra-operative solution for neurosurgeons", Falko Busse, vice president, MR therapy, for Philips Healthcare said. 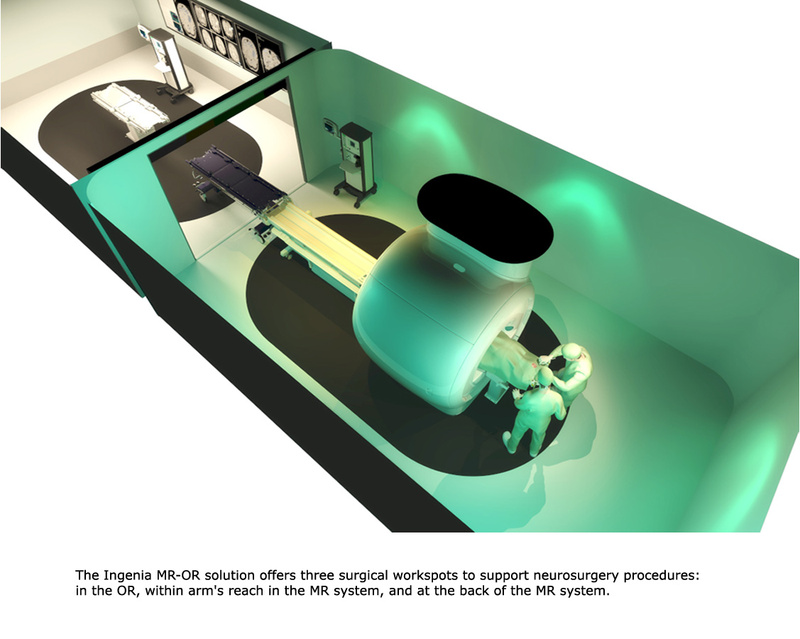 "With the unique capabilities that both of our solutions provide, including the possibility to connect two ORs on the front and back of the Ingenia MRI system, we are addressing neurosurgical needs." The Ingenia MR-OR is based on a two-room solution, making it possible for the system to be used both for intra-operative as well as for standard diagnostic imaging. 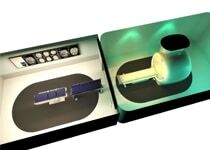 Its design enables a short and smooth transfer of the patient to the system and fast imaging, thereby providing a quick review of the neurosurgery procedure. 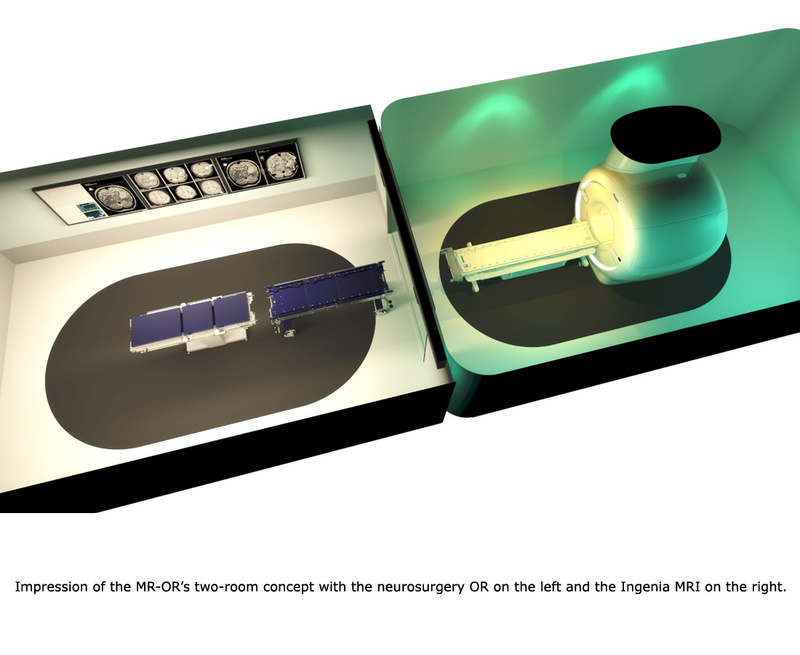 In addition, the Ingenia MR-OR can be used with two operating rooms, one on each side of the MRI magnet. This provides more flexibility for neurosurgery centers, offering the possibility to schedule patients from multiple ORs on the same MRI. "Brainlab&apos;s Integrated OR helps to ensure that surgeons have access to high navigation accuracy throughout neurosurgery procedures", said Stephan Holl, COO, Brainlab AG. "The technology automatically re-registers the newly generated images taken with Ingenia MR-OR, facilitating the ability to immediately continue the surgery with re-registered surgical navigation information after the scan has been performed. Furthermore, all relevant patient information from intra- or extra-operative sources can be displayed and managed on Brainlab&apos;s patient data management system." Philips and Brainlab will showcase their recent developments together at the American Association of Neurological Surgeons in Miami, April 14-18, 2012. For more information, please visit www.philips.com/MR-OR.